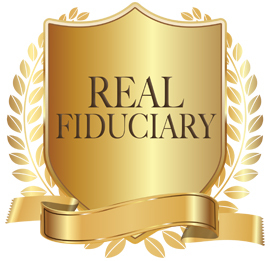 We are fee-only fiduciary financial planners who work with entertainers and their teams build strong and stable financial lives. DO YOU WANT TO CONVERT YOUR HARD WORK AND SACRIFICE INTO FINANCIAL INDEPENDENCE AND STABILITY? Professional entertainers and celebrities have unique legal, tax, and financial needs. Uncertain and volatile cash-flow is common. We develop a financial plan for celebrities to smooth the ups and downs of income and make sure taxes are covered and enough is being saved for the future. We work closely with our client’s team—the attorney, business manager, and accountants. Our mission is to improve our clients’ lives by providing them with the security that their assets are protected and expertly managed. If you want a comprehensive review of your finances or are looking for better strategies to grow your assets, we have developed a national reputation for providing financial planning and investment management to professional entertainers globally. Robert Pagliarini, has over two decades of financial planning and investment management for professional entertainers Robert is a CFP Ambassador, one of only 50 in the country, as well as an Enrolled Agent with the IRS. He has written several books and writes a financial column for Forbes. Entertainers have unique financial needs and as advisors, we can help direct a solid financial plan. Our founder Robert Pagliarini is nationally known for providing investment, legal, and tax advice to those in the entertainment industry. He is also a CFP Board Ambassador with dual masters and Ph.D. and has become the go-to expert for serving sudden wealth recipients. He is called upon by the media for his insight into the financial and psychological issues related to navigating life after sudden wealth - including those entertainers and celebrities who came into sudden wealth after landing on the big screen. Whether you're a Hollywood actress in California or an actor on Broadway in New York - we can help you protect and grow your income as an entertainer. We utilize a sophisticated financial planning platform and can handle all paperwork, meetings and more 100% online. Although many people dream of being on the big screen, it can feel like a nightmare when you’re confused about what to do next after singing a major entertainment contract. You need a financial advisor who has your best interest. Not only will we help safeguard your income - we'll help you deal with the emotional aspects of sudden money. Robert Pagliarini, founder of Pacifica Wealth Advisors, a wealth management firm in Orange County, CA - authored The Sudden Wealth Solution. Sudden wealth is often portrayed as creating dire consequences for its recipients, but it can be an amazing opportunity that improves your life and those around you. I’ve worked with enough highly paid entertainers over the years to see patterns – what works and what doesn’t. With proper guidance and a willingness to stick to the 12 Principles outlined in The Sudden Wealth Solution, you can avoid the common pitfalls that so often destroy wealth from large entertainment contracts.